How does winning R50,000 in cold hard cash sound to you? If you’re up for the challenge, then we dare you to play and bet on your favorite games at Casino Midas - and climb the leaderboard at the same time. If you reach the top positions in this competition, then you could be walking home with free cash, casino bonuses and more. 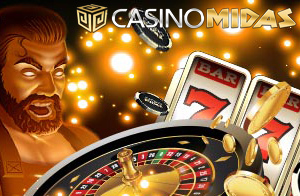 The leaderboard promotion runs from now until December 5th at the South African friendly online casino, Casino Midas. All you need to do is play and bet on the stunning array of games at this site to become eligible for the prizes up for grabs. The more you bet on the games, the more comp points you will be able to accumulate and the higher up the leaderboard you will climb. With a bit of determination, you could be walking away with the top prize of R50K in real cash! Here’s a great tip to climb the leaderboard faster: Play the Casino Midas Game of the Month and you will earn 3 x the Comp Points! The featured game for December is the zany I, Zombie video slot game by Realtime Gaming. This is just a reminder that the Game of the Month special will run the entire month of December. I, Zombie, as the feature game, will pay out triple comp points per spin. This great game is highly entertaining, with a fantastic theme and lots of potential rewards. When the Wild I, Zombie or the Scatter Mirror appears on the reels, they could reveal additional I, Zombies which hop to the other two positions on the reel. 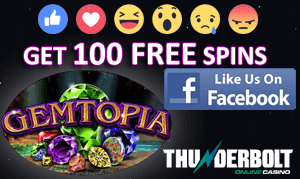 Scatter Mirrors trigger the Free Spin feature, where prizes could be doubled or trebled!